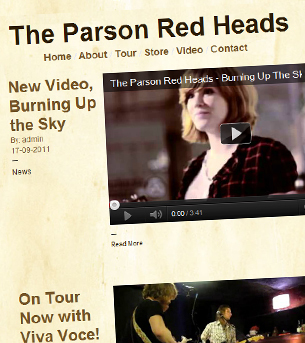 We created a new website for The Parson Red Heads. We’ve managed their website since 2006, they wanted something simple that could be updated periodically with news and information for fans. Previous versions of their website had been relatively static but this one hopefully will allow the band to post updates more frequently.